A warming climate poses risks to frogs in their water habitats and alters the length of hibernation. Step outside on a warm night, and you may hear a familiar chorus of frogs. But one day, in some areas, this song may go silent. Globally, about a third of amphibian species face extinction because of habitat loss, pollution, invasive species . . . and now global warming. 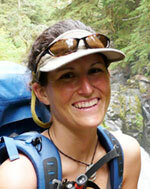 Wendy Palen of Simon Fraser University studies frogs in the Pacific Northwest. She says because frogs start their lives in water and then move to land, they’re vulnerable to climate threats in both habitats. For example, drought can be devastating for frog eggs and tadpoles. 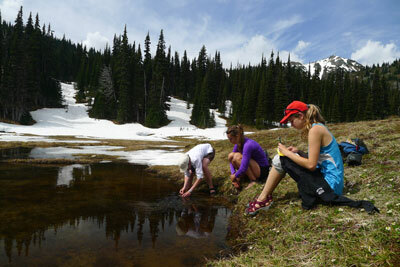 Tadpoles that do survive to adulthood will face new climate threats, such as shorter winters. Palen says the longer it takes for winter to set in, the longer frogs stay on the edge of hibernation . . . where they may burn too much fat and energy, and end up weakened come spring. So that beloved chorus of frogs could be a warning call. Reporting credit: Les Vonderlin/ChavoBart Digital Media.